As Linda and I went to St. Simon’s Island to give a lecture at Coastal Georgia University in nearby Brunswick, we visited Christ Church. This Church was built by a grieving pastor who lost his wife on their honeymoon while in Europe. He promised he would always be by her side. He brought her body home and built with care and grace this lovely church placing her body near the pulpit and gave sermons near her grave site. When he died, his body remained “by her side.” The careful choice of wood, framing with pegs and delightful gardens provided a lovely setting. 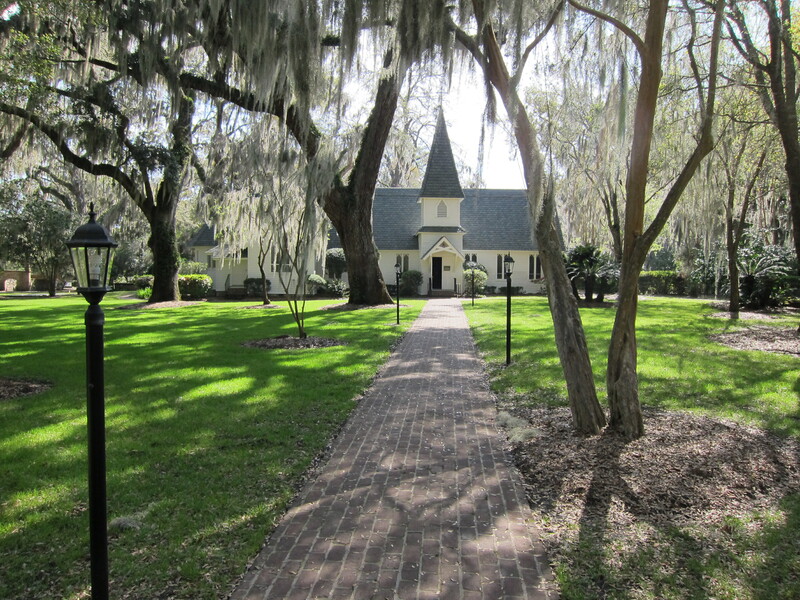 Charles Wesley preached his first sermon under a nearby Live Oak thereby beginning the Methodist Church in Colonial Georgia in the early 1730’s as the colony was being established by James Oglethorpe. 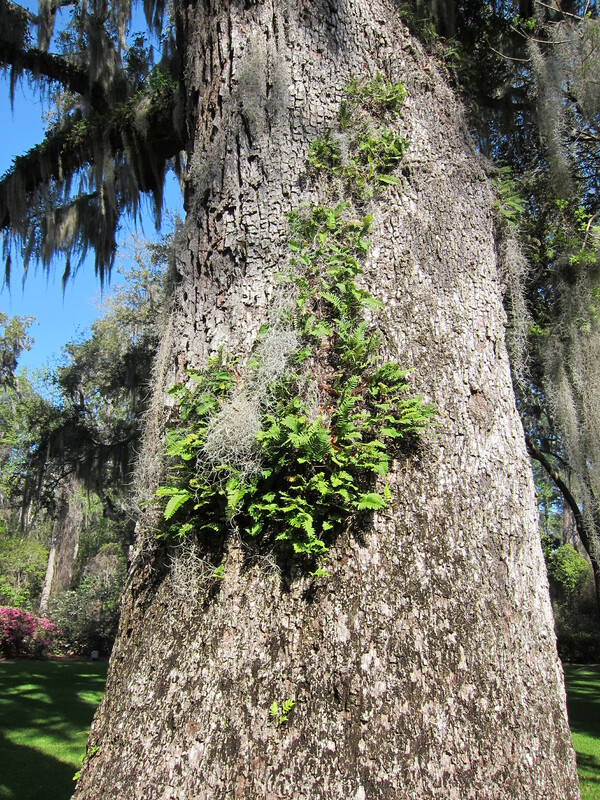 The fern on the Live Oak is known as the “Resurrection Fern” which comes alive after rainfall when before it is dried up and brown. The South is full of both beautiful nature and great stories. This was both a spiritual and visual delight. Savannah, Georgia–a place of many surprises.